New York's oldest Irish bar is suffering from one of the city's historic problems: rats. 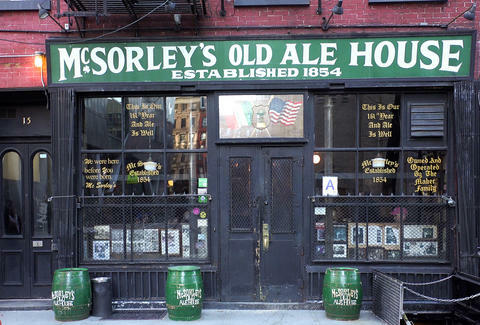 The NYC Health Department shuttered McSorley's Old Ale House after discovering evidence of the rodents in the basement during a surprise inspection of the iconic East Village bar on Wednesday. In an interview with DNAinfo, owner Matthew Maher blamed the reconstruction of nearby Cooper Square for sending the pests scurrying into surrounding locations like his own. Maher indicated he's working with an exterminator to correct the problem. The popular hangout will remain closed over the weekend while Maher awaits a Monday hearing to address the health inspector's findings.